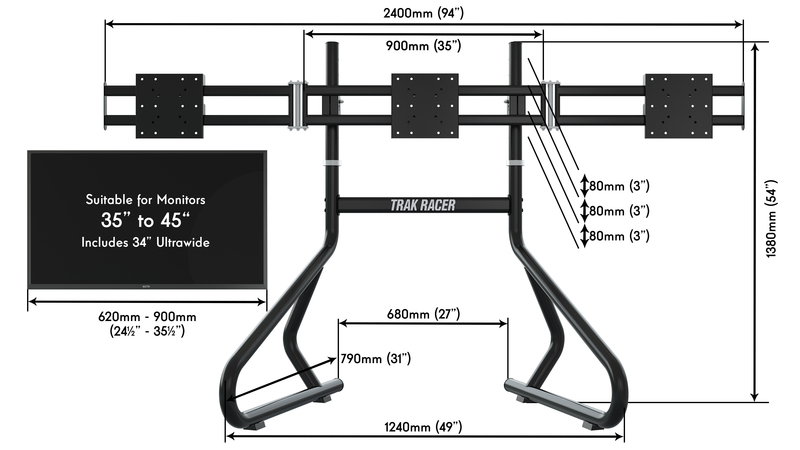 Trak Racer Triple Monitor Stand Mach 3 For Three Monitors or TVs 33 - 45"
Trak Racer Monitor Stands suit most monitors on the market with VESA Mounting Points and come with a 3 year warranty. Enhance your gaming, entertainment or business experience with the premium monitor stand from Trak Racer. At Trak Racer we are constantly evolving, and so are our products. For over 4 years our monitor stands have seen 3 model updates which take customer feedback into consideration as well as superior manufacturing processes and improved materials to make our products even better. At Trak Racer we take great customer service as a top priority. If you do experience a problem you will be allocated to an expert on the product with and won't be pushed around from one department to another. Simply send us a message or an email and you'll receive a prompt reply either with a solution or request for more information. 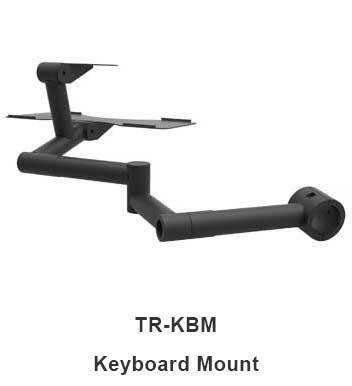 The TM-B3-37-KIT Trak Racer Premium Triple Monitor Stand holds monitors or TVs between the sizes of 33” to 45” and are built to the same high-end build that Trak Racer is renowned for. Disclaimer. 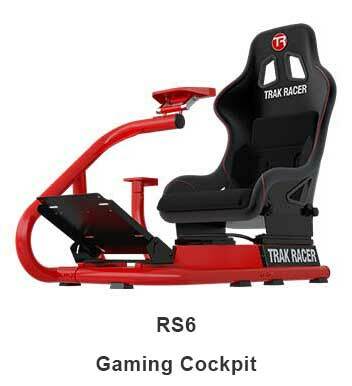 Trak Racer take no responsibility for damage caused to personal effects while using this product. Disclaimer. 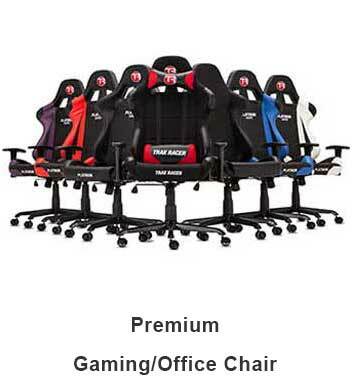 No Electronics (eg Monitors or gaming cockpit) are included with this listing. 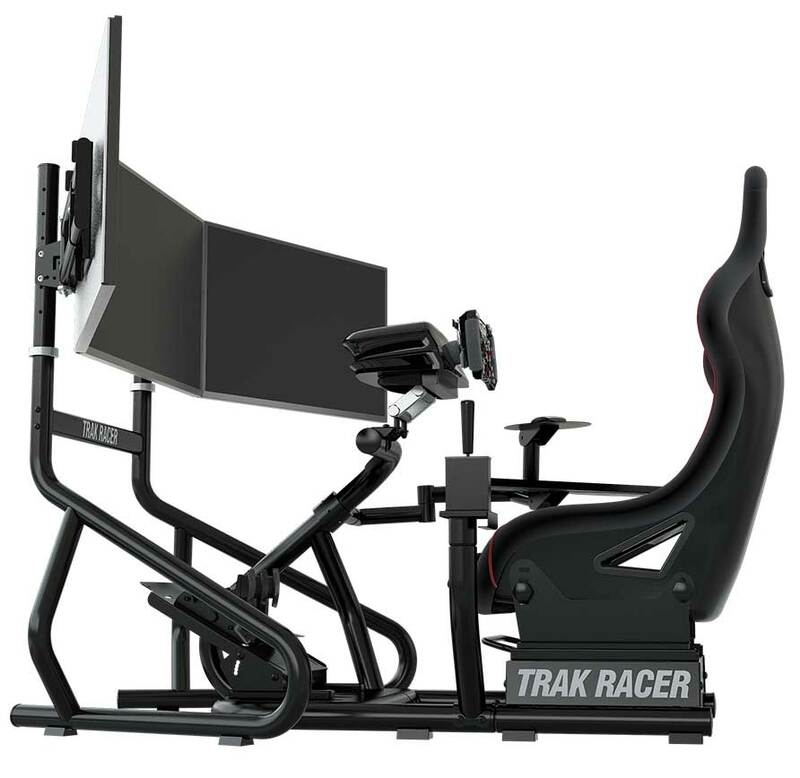 The upgraded Trak Racer monitor stands are not just better looking than their competition but they are also more adjustable. 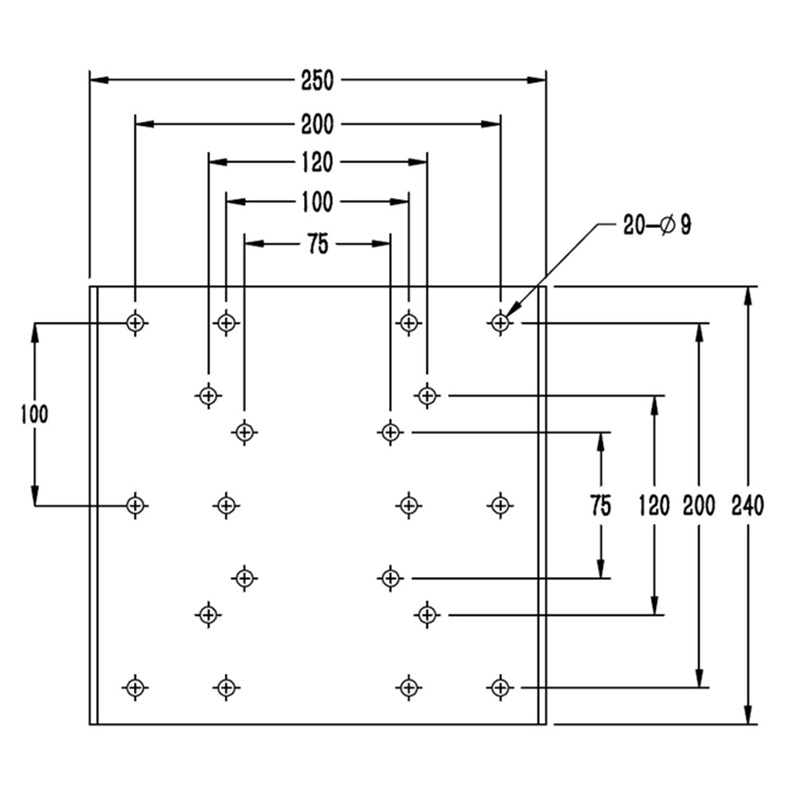 The stands feature multi-adjustment of the vertical angle of the monitors and full adjustment slide on the horizontal. 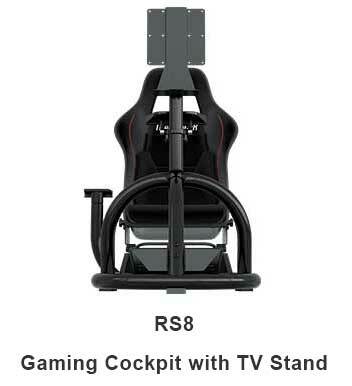 Our stands are inspired by our cockpits and designed for maximum stability and strength. 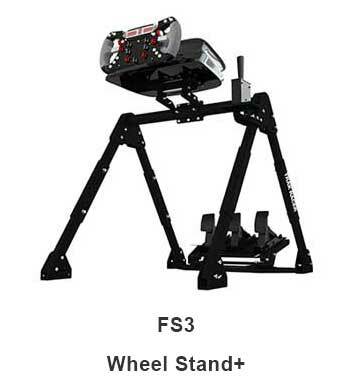 Each stand comes from quality core materials, unparalleled craftsmanship, and state of the art manufacturing processes. Mounts most monitors with the included VESA mount. 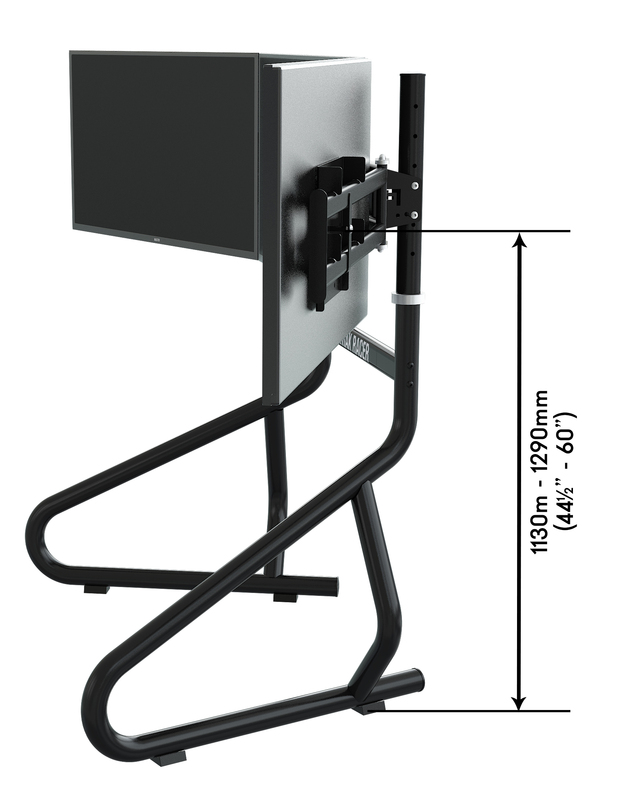 Our monitor stands feature 100mm and 200mm spacing to suit most monitors and TVs on the market. 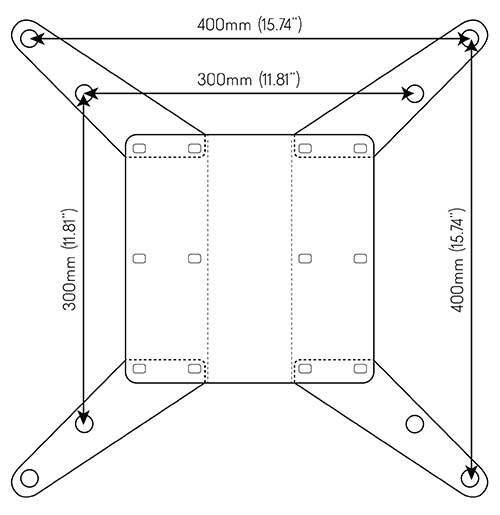 If your monitor or TV has mounting points at 300mm and 400mm you will need our TM-80 part (not included). Trak Racer Monitor Stands have been favoured by competitive gamers, game centres, massive gaming events and event hire companies. 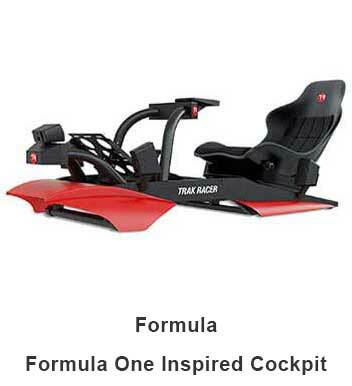 By offering the highest quality gear in the industry, Trak Racer has collaborated with big name brands such as, but not limited to, Xbox, Ubisoft, Sony, Castrol, Accord Hotels and more. If you're looking to partner with Trak Racer please get in touch. Trak Racer Triple 3 Monitor Floor Mounting Gaming Event Stand - Holds 35-45" LED LCD TV Monitors has a rating of 0/5 based on 0 reviews.